Prof. dr. ir. Yolande Berbers is a member of the research group DistriNet (Distributed Software and Software Security) of the department of computer science of the KU Leuven. She leads a task force of 6 researchers. Her research interests include ubiquitous computing, context-aware and adaptive systems, service architectures, middleware, component-oriented software development, distributed systems, and software engineering for embedded software. She has been the coordinator of two IWT-SBO projects, and is currently promoter of two FWO projects and one IWT-O&O project with industry. She is currently a partner in one FP7 European IP project. 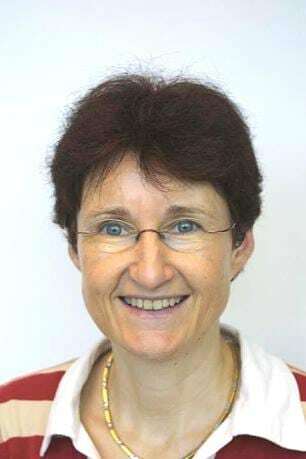 She has spent a half year abroad in the 80s at the INRIA, France, was an invited professor at the Franco-Polish School of New Information and Communication Technologies (Poznan,Poland) 1995-1996, and at the Universit\'e Pierre et Marie Curie (Paris 6)in 2006. At KU Leuven, she teaches courses on operating systems, computer architecture, and software for real-time and embedded systems. She is co-founder of EuroSys, a European Association for the advancement of systems research in Europe, linked with ACM SIGOPS, where she was two years treasurer and two years vice-chair. She is member of the scientific council of INRIA, a large prestigious research institute in France. She is member of the FNRS informatics committee of the French community in Belgium. Yolande Berbers has been serving in the program committee of numerous conferences and workshops. She was local organizer of the 6th International Conference On Reliable Software Technologies (Leuven, 14-18 May 2001), she was general chair of the 11th ACM SIGOPS European Workshop (Leuven, 20-23 September 2004) and of the EuroSys2006 conference (Leuven, 18-21 April 2006). She was co-general chair of Middleware08 which was held in Leuven in December 2008. Yolande Berbers is currently vice-dean of the Faculty of Engineering of the Katholieke Universiteit Leuven. Yolande Berbers is mother of four children and one extra child taken into our family.